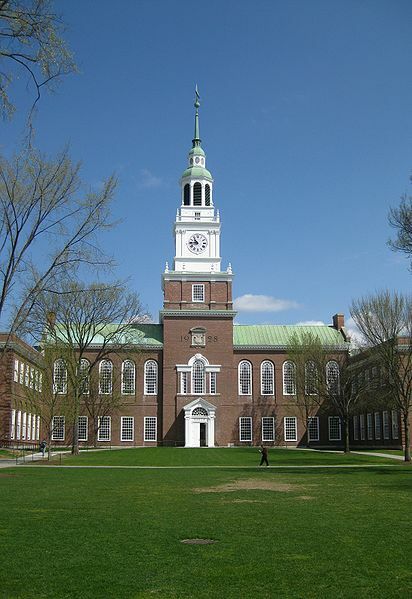 Dartmouth College returned to the upper echelon of Ivy League football this season. Dartmouth is the winningest team in Ivy League football history, but they’ve experienced a drought in recent years (photo credit: Gavin Huang). The 2013 Ivy League football standings are now complete. With identical 6-1 records, Harvard and Princeton both won the Ivy League title. Overall, Harvard finished its season with a 9-1 mark, while Princeton was 8-2 (this includes non-Ivy League games). Placing third in the Ivy League this season is Dartmouth College, with a 5-2 mark in Ivy League play and 6-4 record overall. This season marked a return for the Dartmouth Big Green to the upper echelon of Ivy League football. 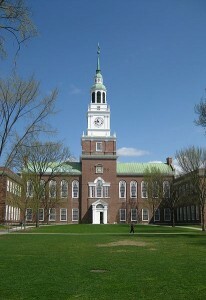 Historically, Dartmouth remains the most successful program in the history of Ivy League football. But Harvard and Penn have been inching up real close to them in the record books. Placing fourth in the league are Brown University, Yale University, and the University of Pennsylvania. These three universities finished with 3-4 records in Ivy League play. Brown finished 6-4 overall on the year, Yale 5-5, and Penn 4-6. Oh how the once mighty Quakers have fallen fast! Cornell University finished seventh in the Ivy League, with a 2-5 record and 3-7 overall. Columbia University came in last, not recording a single win all season! Oh my. The Columbia Lions finished 0-7 in Ivy League play and 0-10 overall. Not exactly a good season for the Lions. But, don’t forget, Columbia: You guys won the Rose Bowl in 1934 in a major upset over Stanford. There is always hope for next year. Take inspiration from your past. Congratulations to Harvard and Princeton for winning shares of the 2013 Ivy League football title. And congrats to Dartmouth on a great season in which the Big Green returned to the top tier of Ivy League football after a long absence. Sorry, Penn, that it had to be at your expense. So much for the pre-season projection that you would win the Ivy League this year. Projections, projections.